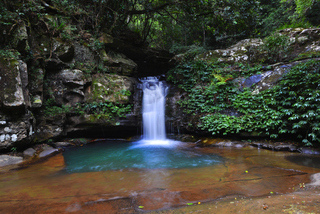 The Waterfall Way (Full Day) About: Come on a guided photographic tour into a real wilderness area. Along the waterfall way you will see 4 giant waterfalls and 4 smaller waterfalls as well as numerous cascades with moss covered rocks and gushing fresh water. 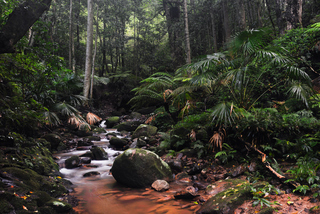 The walk to the falls is through a dark, but beautiful rainforest that is seemingly lost in time. You will have endless photo opportunities and you can learn from Australian landscape photographer Brad Chilby along the way. This tour is great for beginners, armatures or professionals and is also great for non photographers who would like to come on an adventure and enjoy this unique wilderness area. Lunch and drinks will be provided. 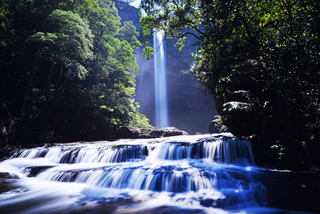 All you need to do is bring your camera, a tripod if you have one, good walking shoes and water. You will come home with many photos that you will be able to enlarge and hang on your wall. Lunch and a drink will be provided! When: I run full day photography lessons on Weekends. Length of Lesson: 6 to 8 hours full day photography adventure. Difficulty Rating - 4 (Scale: 1 = Easy / 5 = Difficult ) Fitness Level - You will need a good level of fitness and will need to be capable of bush walking for at least 2.5 hours. The trip does include walking up and down steep terrain as well as rock hoping and the crossing of an ankle deep river. The trip includes plenty of stops and rest breaks. What to bring - Your camera, your tripod, a fully charged battery, a memory card and a note pad. If you have any camera accessories such as filters or a remote shutter release, please bring these along also. You may also like to bring an old pair of shoes, sunscreen and water. Learn about - Introduction to the functions of your camera including: back menu settings, composition, light and weather conditions, ISO, aperture, shutter control, white balance, long exposures plus more. 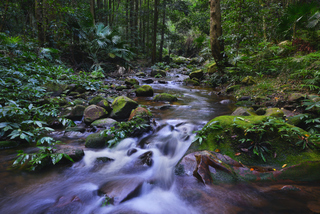 Clover Hill Escape About: This tour takes you on a stunning adventure into the dark rainforest of the Southern Illawarra escarpment. You will be surrounded by tree ferns, cabbage trees and giant fig trees. 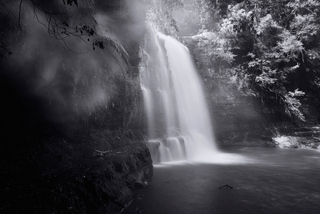 You will have endless streams and waterfalls around you with plenty of opportunities for great photos, you will learn from Australian landscape photographer Brad Chilby along the way. 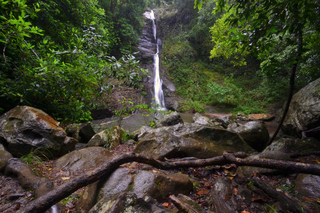 Stops will be Clover Hill Falls, Balancing Rock and Rainbow Falls. This tour is great for beginners, armatures or professionals and is also great for non photographers who would like to come on an adventure and enjoy this amazing wilderness area. Lunch and drinks will be provided. 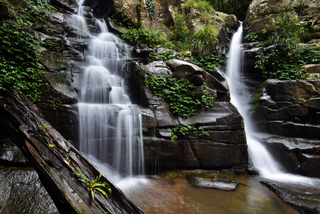 All you need to do is bring your camera, a tripod if you have one, good walking shoes and water. You will come home with many photos that you will be able to enlarge and hang on your wall. Lunch and a drink will be provided! Length of Lesson: 5 to 6 hours half day photography adventure. Difficulty Rating - 4 (Scale: 1 = Easy / 5 = Difficult ) Fitness Level - You will need a good level of fitness and will need to be capable of bush walking for at least 2.5 hours. 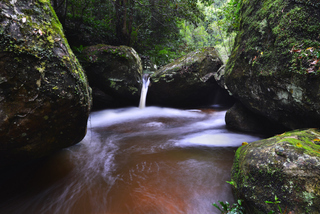 The trip does include walking up and down steep terrain as well as rock hoping and the crossing of an ankle deep river. The trip includes plenty of stops and rest breaks. 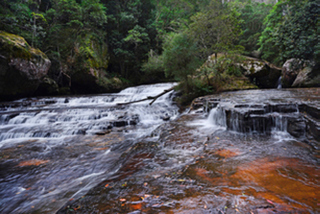 Cascade Gorge About: Come on a guided photographic tour into a beautiful rainforest. 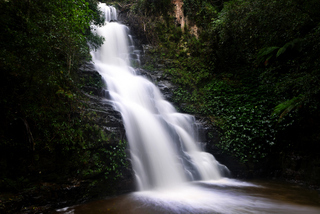 Along the way you will see 3 waterfalls and stunning cascades. You will have plenty of photo opportunities and you can learn from Australian landscape photographer Brad Chilby along the way. This tour is great for beginners, armatures or professionals and is also great for non photographers who would like to come on an adventure and enjoy this amazing wilderness area. Lunch and drinks will be provided. 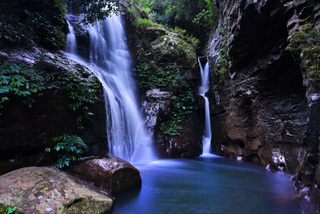 All you need to do is bring your camera, a tripod if you have one, good walking shoes and water. You will come home with many photos that you will be able to enlarge and hang on your wall. Length of Lesson: 2 to 3 hours, half day photography adventure Difficulty Rating - 2.5 (Scale: 1 = Easy / 5 = Difficult ) Fitness Level - You will need a reasonable level of fitness and will need to be capable of bush walking for at least 1 hour. The trip does include walking up and down steep terrain as well as rock hoping. The trip includes plenty of stops and rest breaks. Learn about - Introduction to the functions of your camera including: back menu settings, composition, light and weather conditions, ISO, aperture, shutter control, white balance plus more. Chilby Photography lessons are customisable to suit your needs upon request. 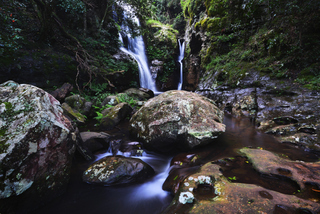 We can also do similar photography lessons in other areas for example: Carrington Falls, Madden's Falls, Kelly's Falls, The Drawing Room Rocks or more. If you are interested in doing a simlar course in another location please hit the contact Brad tab below. Gift Vouchers for photography lessons are also available: please click HERE. For Sunrise and Sunset photography lessons please click HERE. To book a photography lesson with Brad Chilby or for more information, Please call me on 0425 308 433 or simply click on the button below.